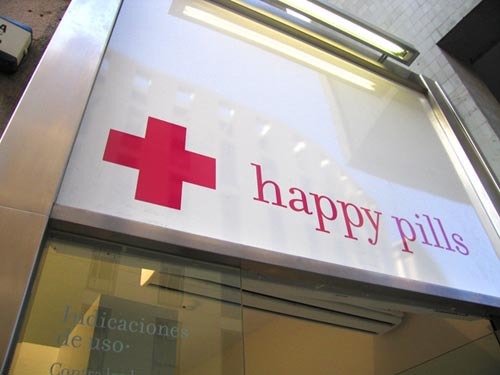 Man, am I craving some candy from Happy Pills in Barcelona. Have you heard of this place? They need to expand. I love them, their design and their concept. When I visited Barcelona in September, I went back to Happy Pills twice to make a little take-away box of gummies to enjoy while walking around! 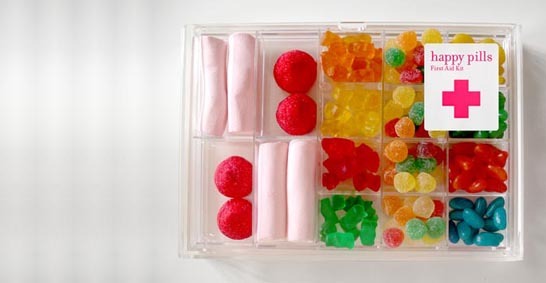 Their concept is adorable-In a tiny storefront, they offer different sized boxes, and jars at the entrance for you to fill with all the gummy, colourful candy that fits in. Their website creatively states that Happy Pills is a radical solution for a) Lovesickness b) Work Problems c) Friendship Damaged d) Sustained Sexual Effort. I say, whatever your reason, if you love gummies, there is no better way to enjoy than eating them out of a take away container or a plastic “pill” bottle. They have four shops in Barcelona, one in Bilbao and one in Zaragoza, should you find yourself needing a candy pick-me up during your travels of Spain. On the last leg of my honeymoon, I spent three days in Barcelona. Arriving in Barcelona after spending almost two weeks in small, quaint villages was overwhelming. Especially because our hotel was adjacent to the touristy, La Rambla. What a nightmare that strip is- it is a more crowded version of Wenceslas square in Prague but with heavier crowds. Fortunately, I found out that if you walk away from La Rambla towards the Raval district and the contemporary art museum, you get an artsy, more low-key environment. On my walk AWAY from La Ramblas, I found the adorable, corner store, La Variete. 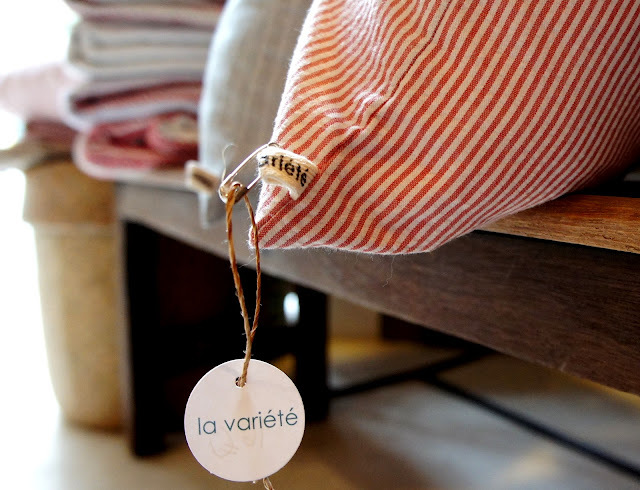 Raquel Muntal, owner (local Barcelonite) of La Variete, fills her small shop with wonderful home and personal items designed locally and made in Thailand. 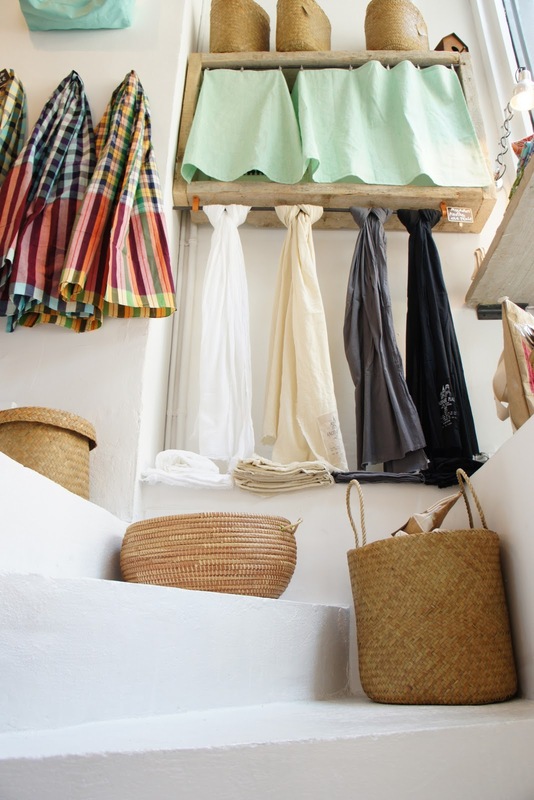 She manages to use every square inch of that shop and has packed it with cool-affordable priced woven baskets, flip flops, vintage furniture, toys, scarves, pillows and clothing that all have an Asian-minimalist aesthetic. I picked up two of her cloth wrapped headbands after I snapping my last plastic headband on my trip (she also had bangles). 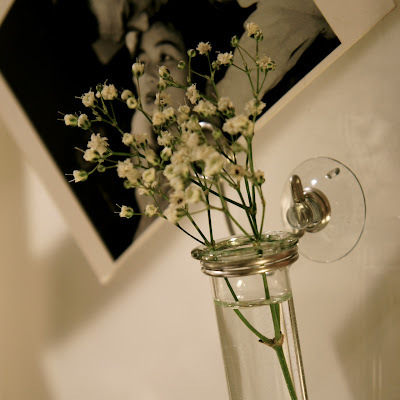 Something else that also stuck out to me was her small glass bottles that were test-tube-esque (els botilets – see picture 8) with a suction cup that allows you to display flowers on your window and her line of paper bags with Thai writing (cases, wallets, sacs and purses -see picture 9). 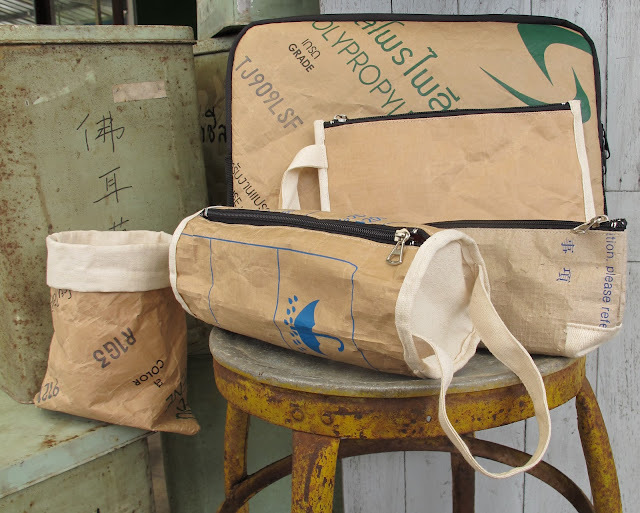 Raquel has an online store for her boutique which is great if you don’t have any more room in your suitcase! The blogger behind Cute Suite, (see Cute Suite- La Variete) wrote a wonderful post on La Variete that I would recommend checking out if you are interested in another perspective! 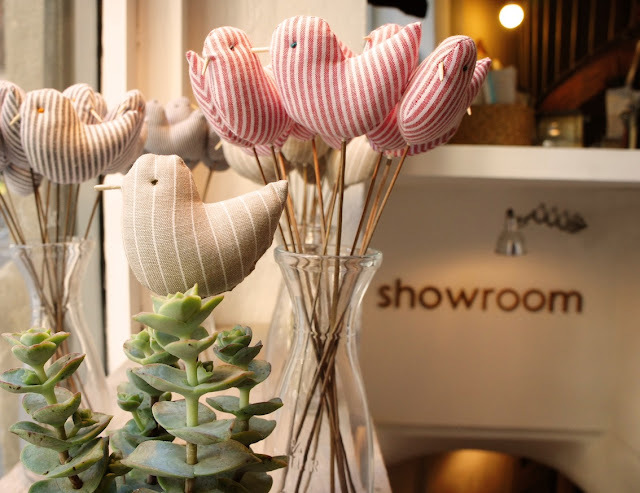 She also has a lot of other terrific resources on local designers in Barcelona and indie shops.